Sticky Password Premium 8.0.11 was available as a giveaway on April 25, 2017! Please note: the software provides a 1-Year license and is available only for the new users (can be activated until 30.04.2017). The program archive includes both Win and Mac versions! How would you improve Sticky Password Premium 8.0.11? 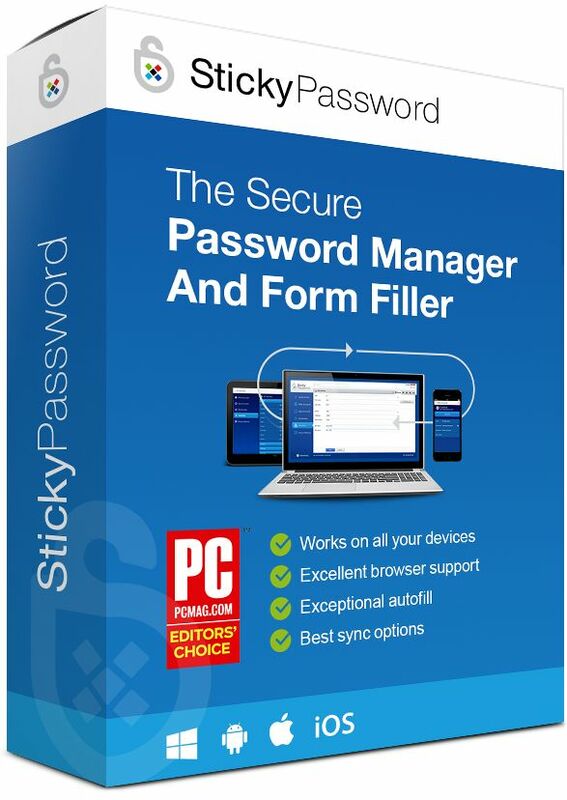 Get Sticky Password Premium (lifetime license) at 80% discount. GOTD users can get the program for $29.99, instead of $149.99. Ok, so this one is for new users or users who are willing to make a new account with StickyPassword, but how it activated? ReadMe file has Menu => Settings => My Sticky Account. and password; However, I did not see this in StickyPassword menu? Anyone, can you please tell me me how did you activate it? Ok, so this one is for new users or users who are willing to make a new account with StickyPassword, but how it activated? ReadMe file has Menu => Settings => My Sticky Account. and password; However, I did not see this in StickyPassword menu? Anyone, can you please tell me me how did you activate it? 1) Login to your StickyAccount at my.stickypassword.com in order to enter your License Key. 2) In the Dashboard tab, please navigate to My Licenses and click the Enter new License Key link on the right side of the screen. Then copy & paste your License Key from above and click Apply. If you already installed Sticky Password on your device and created your StickyAccount during installation, you can activate your license also from our website following the steps below: To activate your license, follow these 2 steps: 1) Login to your StickyAccount at my.stickypassword.com in order to enter your License Key. 2) In the Dashboard tab, please navigate to My Licenses and click the Enter new License Key link on the right side of the screen. Then copy & paste your License Key from above and click Apply. What happens when the 1 year license ends? after expiration of the Premium license, the license status will be automatically switched to Sticky Password Free. You will still be able to access your data but you will loose features of the Premium version. You can anytime renew your Premium license with a new purchased Sticky Password License Key. The life of the auto entry password is coming to an end. and then I have to enter it in a field that moves on the screen in every log. very personal info only known to me. If the phone is out of order, I will be put to a 2 minute question and answers info from my past gathered from my credit files and to enter it without thinking. Some require my device to be registered prior logging in or e-mail verification code sent. The life of the auto entry password is coming to an end. All of my banks require additional authentications that vary every time I log in and many of them do call me back to give me 5, 6 or 8 digits random numbers heard on the phone and then I have to enter it in a field that moves on the screen in every log. Some require entry and authentication of pictures mixed in a random scheme and some require very personal info only known to me. If the phone is out of order, I will be put to a 2 minute question and answers info from my past gathered from my credit files and to enter it without thinking. Some require my device to be registered prior logging in or e-mail verification code sent. I installed this on two home computers and was pleasantly surprised at the smooth and logical way it ran. If every day in the next 364 is like this I shall pay for the permanent licence. I have five computers and 275 passwords, so we shall see. I first started using this program when GAOTD offered it a couple of years ago. I have since purchased the program and I depend on it everyday. If you put the time in to make certain the links don't change and everything is up to date it works like a charm. It does require a browser plugin however. I first started using this program when GAOTD offered it a couple of years ago. I have since purchased the program and I depend on it everyday. If you put the time in to make certain the links don't change and everything is up to date it works like a charm. It does require a browser plugin however. This is a definitely a try before you buy as if you don't buy it and need to reinstall the program which you can't if it's installed by GOTD then you'll lose all the passwords that you have entered. The second suggestion for improvement is to disable the login screen at startup. You can already do that in settings. 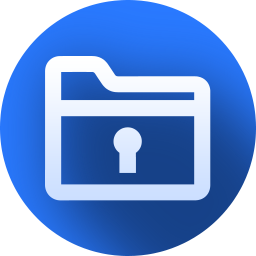 I've just purchased a lifetime license for Sticky after having used it on and off for years, but I still keep my Keepass database fully updated in parallel, and I recommend that all users of commercial password managers consider doing that as a little extra insurance. Does "1 USER" mean one person with an unlimited number of PERSONAL machines (e.g. 4 laptops, 1 desktop and a mobile ) OR does "1 USER" mean one person with one appliance? One license covers all devices per user. No problem to have Sticky Password installed on e.g. 4 laptops, 1 desktop and a mobile. Encyclopedia Brittanica, One license covers all devices per user. No problem to have Sticky Password installed on e.g. 4 laptops, 1 desktop and a mobile. bought a lifetime licence from Sticky Password before, and after 6 months it said I needed to purchase a license to continue using the premium features. Sent screenshots of the error message, and of my receipt of purchase, but the issue was never corrected. Not sure if they've gotten any better, but I switched to Roboform and have never had such an issue, and found it to be better (faster, easier to use, better support). Sticky Password worked great, but that one experience was enough to make me not trust the company again. Sorry, but I'll have to skip out on this one. This is strange as lifetime is really lifetime! Have you contacted our support? Just provide them with your email and they will fix it for you. levitiquetus, This is strange as lifetime is really lifetime! Have you contacted our support? Just provide them with your email and they will fix it for you. I used a password manager once upon a time but now find that they can't handle some of the authentication needed on more and more sites. One site sends me a number as an SMS, another needs a randomly generated number from a gadget they supplied me, another scrambles the code I have each time I log on, and so it goes. I settled for a notebook on my desk with all my initial passwords in it and then use the various ways that these sites communicate for the final step in logging in. A password manager can't do that. I used a password manager once upon a time but now find that they can't handle some of the authentication needed on more and more sites. One site sends me a number as an SMS, another needs a randomly generated number from a gadget they supplied me, another scrambles the code I have each time I log on, and so it goes. I settled for a notebook on my desk with all my initial passwords in it and then use the various ways that these sites communicate for the final step in logging in. A password manager can't do that. Springy, Yes - this is very true, I had forgotten this. I tend to add the 2nd or third level authentication in the notes section of each application but have the logonid field in Sticky Password. I have found a couple of sites that having the password in the password field is useful even if the site actually asks for random values from that password. Springy, Yes - this is very true, I had forgotten this. I tend to add the 2nd or third level authentication in the notes section of each application but have the logonid field in Sticky Password. I have found a couple of sites that having the password in the password field is useful even if the site actually asks for random values from that password. 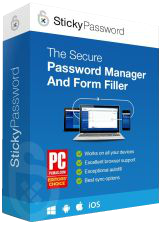 According to PC Magazine's review the most unusual feature of Sticky Password has to be that you can skip the online storage option and all your passwords then stay on your home network. Desinstalled right away because I don't want to create an account. It seems there is no way this software can run without it. I have a lifetime subscription but I can't use it because Sticky keeps crashing on my Pixel XL. I've sent error reports and received emails promising a response. So far, no one has contacted me. I reset the phone, downloading only the native apps. Sticky still crashed every time I used it. I'm looking for a new password manager. Please contact our support at support@stickypassword.com and describe the issue you're experiencing with the app. They'll help you to fix it. Linda, Please contact our support at support@stickypassword.com and describe the issue you're experiencing with the app. They'll help you to fix it. I like this software so much that I bought the lifetime license. Works on my PCs and Android devices. No issues with synching. Passwords can be a real headache that a good password software can fix. Just my two cents. I am a longtime user of Sticky Password with a lifetime license. I came over after using Dashlane for a few years and cannot say enough good about the program. One of the best features you are seeing in this discussion - their customer support is the best. Numerous times I have had questions and also a few problems that were quickly addressed. Their response time is very fast. 1. The first is it not working with Edge which I must use on one computer. I do realize the situation as described here and know a compatible version of Sticky will address this when it is possible. 2. The other is the number of times I am asked to enter my Master Password. One good thing about Sticky is to give you the option of using a shorter access code instead of the Master Password all the time. However, I find, especially lately, I am almost always asked for my Master Password vs. the code. I can see the reason for entering the Master Password occasionally, but now it seems to be the rule rather than the exception. I created a long complex Master Password and it is just a pain to have to keep entering that, especially on my phone all the time. Do yourself a favor and use this opportunity to give this program a try which is what I did years ago and couldn't be more pleased! I am a longtime user of Sticky Password with a lifetime license. I came over after using Dashlane for a few years and cannot say enough good about the program. One of the best features you are seeing in this discussion - their customer support is the best. Numerous times I have had questions and also a few problems that were quickly addressed. Their response time is very fast. I have only two small issues with Sticky: 1. The first is it not working with Edge which I must use on one computer. I do realize the situation as described here and know a compatible version of Sticky will address this when it is possible. 2. The other is the number of times I am asked to enter my Master Password. One good thing about Sticky is to give you the option of using a shorter access code instead of the Master Password all the time. However, I find, especially lately, I am almost always asked for my Master Password vs. the code. I can see the reason for entering the Master Password occasionally, but now it seems to be the rule rather than the exception. I created a long complex Master Password and it is just a pain to have to keep entering that, especially on my phone all the time. Do yourself a favor and use this opportunity to give this program a try which is what I did years ago and couldn't be more pleased! John, I think there is a setting to select to NOT have to enter the Master Password. Unfortunately, sometimes when you update the software, it seems to reset the setting back to having to enter the Master password. I found the same problem in RoboForm. We really apologize for the issue with the syncing. Can you please contact our support again or provide the ticket number so we can take a look where the problem is? Our support will help you to fix it asap. Ward, We really apologize for the issue with the syncing. Can you please contact our support again or provide the ticket number so we can take a look where the problem is? Our support will help you to fix it asap. Ward, I've always been impressed with support. They helped me resolve sync issues that cam down to firewall and security program permissions. Their forums are monitored frequently by support staff as well. I'm really surprised to read your comment. Ward, I've always been impressed with support. They helped me resolve sync issues that cam down to firewall and security program permissions. Their forums are monitored frequently by support staff as well. I'm really surprised to read your comment. Kelli, that's my experience.. just sharing it. their response has been - well, re-install with updated version.. when that didn't work.. nothing. very frustrating. Marek - Sticky Password Team, I'll try.. but, to be honest, I don't hold much hope. I will be happy if they do though. I've re-submitted my troubleshooting information, and nothing for days now... it was like this the last time.. I submit the info, don't hear anything about it, and then out of the blue, "Is this still an issue?" without them doing a thing.. ridiculous! I'm very disappointed that I didn't just spend my money elsewhere that actually has a responsive and helpful Customer Service, but wasted it there..
Kelli, I've re-submitted my troubleshooting information, and nothing for days now... it was like this the last time.. I submit the info, don't hear anything about it, and then out of the blue, "Is this still an issue?" without them doing a thing.. ridiculous! I'm very disappointed that I didn't just spend my money elsewhere that actually has a responsive and helpful Customer Service, but wasted it there..
Is the lifetime license really lifetime or only for all v8 and require new license when v9 or v10 released ? Hi Is the lifetime license really lifetime or only for all v8 and require new license when v9 or v10 released ? - "with today's giveaway of yearly license you'll have all major and minor upgrades included for 1 year". - With the lifetime license "you'll have all major and minor updates for lifetime!". Hi Sam. :-) Marek - Sticky Password Team said: - "with today's giveaway of yearly license you'll have all major and minor upgrades included for 1 year". - With the lifetime license "you'll have all major and minor updates for lifetime!". Make a good politician, doesn't really answer my question. Sam, well, to be precise, you'll have the lifetime license for that product. This means you'll get free upgrades until all of stickypassword team won't die. Sam, well, to be precise, you'll have the lifetime license for that product. This means you'll get free upgrades until all of stickypassword team won't die. Lifetime license covers all major (v9, v10 etc.) and minor upgrades. Sam, Lifetime license covers all major (v9, v10 etc.) and minor upgrades. Sam, Lifetime means lifetime. I've been through many upgrades. I want to re-install my Win 10 when "Creators Update" VL is released on May 1st, will I still be allowed to use the key when the Giveaway is over ? No, you can only activate it "until 30 Apr 2017". But maybe the stickypassword team could give you another opportunity. Let's see. Hi Bertolino. :-) No, you can only activate it "until 30 Apr 2017". But maybe the stickypassword team could give you another opportunity. Let's see. Bertolino, I already downloaded and installed the "Creators Update". You should be able to find it on Micro Soft's website. The key can be used only only until the end of April. You can activate it now and then reinstall it. Or download Sticky Password mobile app and insert the key there . And you can install it on your PC after you reinstall your PC by using the same account. Bertolino, The key can be used only only until the end of April. You can activate it now and then reinstall it. Or download Sticky Password mobile app and insert the key there . We have apps for both iOS and Android, feel free to download them here: https://www.stickypassword.com/help/download And you can install it on your PC after you reinstall your PC by using the same account. A better and clear answer is that "Each Sticky Password license is valid ‘per user’". Therefore once the account is enabled, a stickypassword user can always install or reinstall the software on different devices. @Marek - Sticky Password Team A better and clear answer is that "Each Sticky Password license is valid ‘per user’". Therefore once the account is enabled, a stickypassword user can always install or reinstall the software on different devices. Am I correct? I have used Sticky Password for several years via Give Away of the Day. Last year, with a lifetime offer for ~$30, I purchased. It is outstanding for generating secure passwords for my various accounts. It also works cross platform on my Windows OS computers, iMac OS 10 and my android phone. I like that I can do a sync on demand over my home network versus having all the information in the cloud. Not only can you save passwords, you can securely save documents within the program as well, so you can keep them confidential. As stated by others, if I have an issue, they are quick to respond with a helpful solution. I highly recommend giving this software a try, then support them by purchasing. Does this program offer any advantages over Roboform? I've been using Roboform for years and it's served me well. I have only one computer, not tablets or smart phones. Bill, I have been a RoboForm user for maybe ten years and find it great. I did try Stikey twice but ended up giving up. Sor to fo but just not as clean. And, no way to import from Robo no matter what they said. For the annual fee for Robo, I am happy for life. I haven't paid a fee to RoboForm since I originally installed it years ago. I've even transferred it to new computers as I upgraded. Al, I haven't paid a fee to RoboForm since I originally installed it years ago. I've even transferred it to new computers as I upgraded. Al, Roboform import is supported with this release. Will we be able to update/upgrade for free when Edge version is made available? Yes, with today's giveaway of yearly license you'll have all major and minor upgrades included for 1 year. You can also get a lifetime license with interesting discount during the giveaway and you'll have all major and minor updates for lifetime! Chris Hartsfield, Yes, with today's giveaway of yearly license you'll have all major and minor upgrades included for 1 year. You can also get a lifetime license with interesting discount during the giveaway and you'll have all major and minor updates for lifetime! Have used the program for years. I have to use lots of passwords in my work and personal stuff. Along the way had to get tech support and they always responded right away. I use three different computers and an android phone and the program will automatically update all of them if I change the log in info on one computer. Have seen the program get progressively get better. I did see the lifetime on Dealnews (dot) com not long ago going at $25. Good feature Ilike too is you can arrange all the websites inside of this program and long on directly. It also handles multiple log-ins on the same one. Pull-down lets you choose which way you want to log in. I never leave comments but they earned mine. Sticky Password works across multiple platforms and allows you to use your data in multiple browsers. It automatically synchronizes and backups stored data securely to the cloud in encrypted format or let you sync them locally using the unique local sync feature. The app is also able to autofill forms (like shopping carts) using the Identities feature, fills credit card info, allows to securely store other type of data using the Secure memos feature. ouialaraison, Security for one as it encrypts the passwords. You can also use it to create different passwords under different identities. Can you migrate RoboForm into this ? I gave up on Sticky at 5.0 because I never got my Robo files converted. I tried and tried and gave up. Roboform works well and I am quite happy. Marek - Sticky Password Team, I gave up on Sticky at 5.0 because I never got my Robo files converted. I tried and tried and gave up. Roboform works well and I am quite happy. Sticky is now up to version 8 and is hugely improved since version 5, but if Roboform does it for you then good luck. Al, Sticky is now up to version 8 and is hugely improved since version 5, but if Roboform does it for you then good luck. So it doesn't work on Edge?? I use Chrome, does it work on that? Does it slow down or add any workload or viruses on computer? We support many browsers, please check them all at https://www.stickypassword.com/features/compare by clicking on the question mark next to the "Excellent browser support"
Edge will be added once Microsoft allows more extensions. Sticky Password is an app which helps you to organize your passwords and it's not any type of virus. David, We support many browsers, please check them all at https://www.stickypassword.com/features/compare by clicking on the question mark next to the "Excellent browser support" Edge will be added once Microsoft allows more extensions. Sticky Password is an app which helps you to organize your passwords and it's not any type of virus. I purchased a lifetime license of this quite sometime ago. Well worth it. I highly recommend this program to others. sticky account credentials - erro 1001. Hi, could you help me . I can't to install program , because it appers - incorrect sticky account credentials - erro 1001. Thank you in advance . I love this program. It has saved my rear quite a few times when I couldn't remember some passwords.